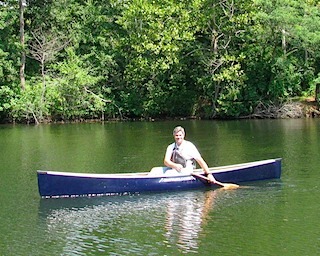 Nighthawk Canoes specializes in custom-built, lightweight, kevlar ® canoes. Our canoes are all handmade, one at a time, and feature an unbelievable combination of lightweight, durability, and performance. Company Profile Request update info. Welcome to Nighthawk Canoes. 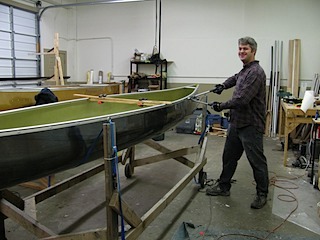 Nighthawk Canoes specializes in custom-built, lightweight, kevlar ® canoes. Our canoes are all handmade, one at a time, and feature an unbelievable combination of lightweight, durability, and performance. I take great pride in making these premium quality canoes for you. There are four models of Nighthawk Canoes: the sleek Columba solo canoe, the nimble Cygnus 16, the touring size Leo 17, and expedition size Pegasus 18.5. Each model can be custom configured to better suit your paddling style and preferences. Since I build canoes one at a time, and have a large catalog of optional finishes and features, your Nighthawk Canoe is literally one of a kind… tailored to your preferences for weight, comfort, durability, appearance, personal paddling style and intended use. Nighthawk’s optional finishes are especially attractive, and most are available nowhere else. I’m happy to take the time to talk with you and recommend a canoe set-up that will work for your particular needs. Your Message must be between 20 - 8000 characters. Thank to pop me out of that button, but now i'm done so you can close this window.